The role of health system CFOs is at a critical juncture. What are CFOs prioritizing in the wake of increasing competitive pressures and value-based reimbursement models? How are they planning on recovering from years of allocating unprecedented capital to legislative mandate compliance instead of future growth and market advantage? A new independent survey of more than 150 healthcare CFOs and other finance executives finds that CFOs are prioritizing strategies and new technology services that support outpatient revenue growth by improving collaboration with referring providers, containing network leakage and better supporting emerging value-based care delivery and payment models. Nearly all respondents (92 percent) said health system revenue growth depends on better alignment and collaboration with referring providers in their communities. When describing the most successful methods for generating future revenue growth, CFOs identified three primary strategies: introducing new service lines of business (61 percent), growing referrals from independent providers (57 percent) and reducing network leakage (51 percent). To drive out costs, a majority of CFOs are focused on improving provider utilization patterns (59 percent) and centralizing and standardizing administrative processes (56 percent). 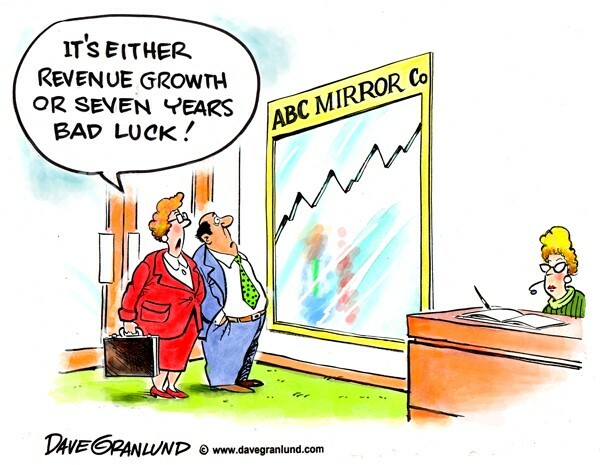 Not all technologies lead to revenue growth. While a minority (44 percent) of CFOs viewed the return on their EHR investment as adequate, 19 percent saw the return as less than acceptable and 17 percent characterized the return as “unclear.” Only 16 percent reported never expecting a return in the first place. Progressive health systems are increasingly adopting business strategies and supporting technologies designed to grow revenue across the care community by implementing a referral destination strategy with real-time performance analytics. What is encouraging about the findings is that while many CFOs continue to operate within a fee-for-service mindset, many more recognize the need for fundamentally better revenue growth strategies and have plans in place to ensure the long-term competitiveness and financial viability of their organizations. View the full survey, conducted in partnership with independent research firm peer60, here.